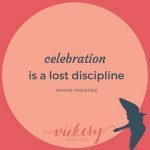 Achieving Work-Life Balance: Accountability | Vickery and Co.
About a month ago I began an accountability partnership with a woman named Kimi from Brave & Co Design. This is not your typical accountability relationship. Kimi and I chat each Friday morning and share our wins for the week. We have agreed not to “discredit the wins” before sharing them. Rather we simply state them and cheer each other on. What this relationship has given me is a reason to stop and appreciate my wins as they happen. I now keep a running list on my phone to update and access as needed. This gives me pause several times a week to recognize that amazing things are happening all around me. If you are going to make all of the effort to design a balance that works for you, by identifying what your needs are, defining and creating boundaries, spending your time wisely and productively, making intentional commitments, and delegating tasks, then it is crucial to add an element of accountability. A specific accountability system, like mine listed above, where we share wins. Identifying weekly “stretch” goals (perhaps things that you would otherwise put off!) and then checking in on each other weekly. 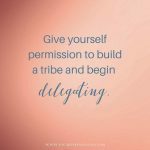 Developing Mastermind groups with 3 or more people to work through what is on your plate and come up with creative plans for achieving your goals. 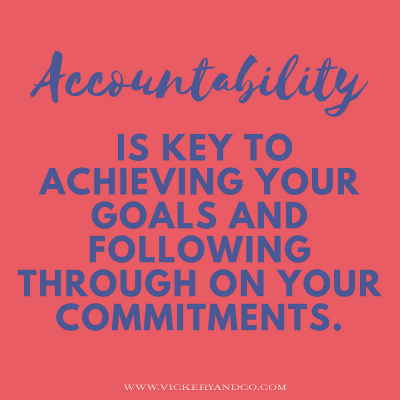 Accountability is key to achieving your goals and following through on your commitments. Nearly 83% of those surveyed responded that they sometimes feel unmotivated. Another benefit of accountability partner(s) is having someone by your side to help you stay motivated! Accountability partners can be friends, colleagues, or a professional coach and you can have more than one (I do!). No matter who it is, having someone by your side to help you stay on track is imperative. Knowing you are accountable to someone else behind you is empowering. Finding an accountability partner can seem daunting. Making friends as an adult is sometimes a challenging thing. However, it is always good to simply reach out to those in your field and people who seem to operate on the same level you do. Whether it is someone you know in person or someone you meet in a Facebook group or on Instagram (like I did with Kimi), finding someone you vibe with can have a profound effect on your business. I also have accountability partners that are not in my industry but are successful professionals that I admire and respect. When thinking about building accountability relationships remember not to limit yourself. Once you’ve identified a partner (or partners), schedule recurring check-in times, ideally the same time every week for consistency. Don’t over commit. These check-ins don’t have to be long; they can be as simple as a 5-15 minute phone conversation fit snuggly in the middle of a busy day. Be a good listener to your accountability partner. Supporting them and helping them think through their needs will make you stronger. Think about the people you know, work with respect and feel a kinship with. Identify 2-3 people who can help you stay accountable. Clearly lay out how you can help one another reach your goals. Decide when to make the ask and then schedule that into your calendar. Make it happen and build up your accountability force!